Herloooo Sweeties♥ :3 Guess what I received few weeks ago-Fairy Beauty Products♥! 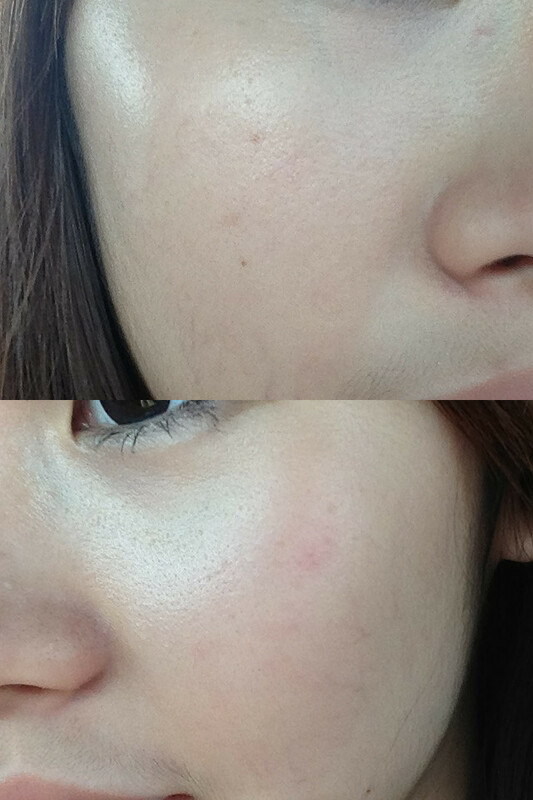 Yeap~ and finally I can blog it and show you guys the before and after photo! It's a very good try but I have no much time to show you guys more obvious result because the promotion end before this month and I need to blog the advertorial before this month! OMG it's a little bit rush but let me introduce this 2 product to you! The one on the left is Fairy Blossom♥and the right one is Fairy Whitez♥. Yea only this two product and both of them is formulated from New Zealand. This is my first impression when I received the parcel. Stupid Skynet delay my parcel before Chinese New Year if not I think I got more time to try and shall see more diff of the product! The packaging is so simply ♥ and inside more surprise. The quality is so much nicer than others normal collagen drinks♥. 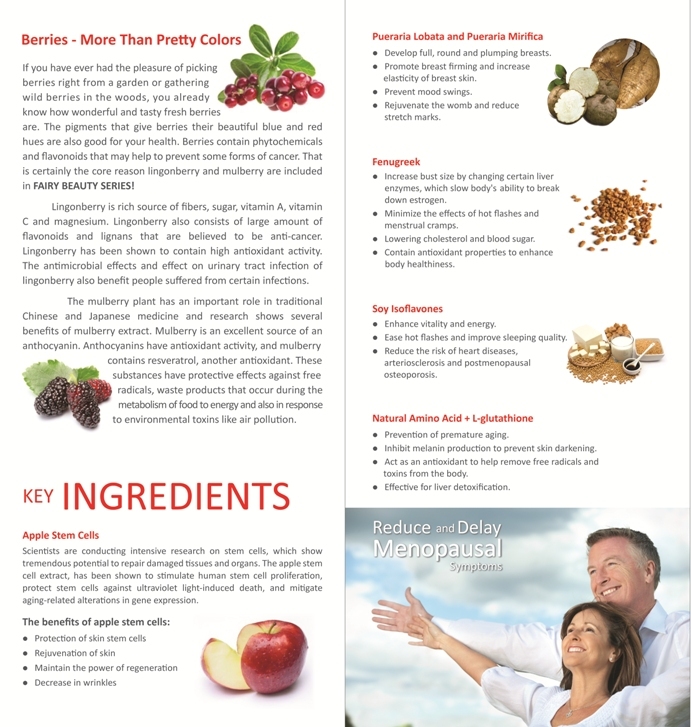 Women nowadays are making incessant efforts to become better in various aspects, particularly to obtain eternal beauty as well as good body health. It's so important, even my mom or friends that same age with me are taking some external product like collagen to maintain their beauty. I never try any product like this before. I tried some other product but it's in powder form you need to mix with plain water but this Fairly beauty product is all come with liquid form. It's much more easy♥ and convenience ♥compare to others. 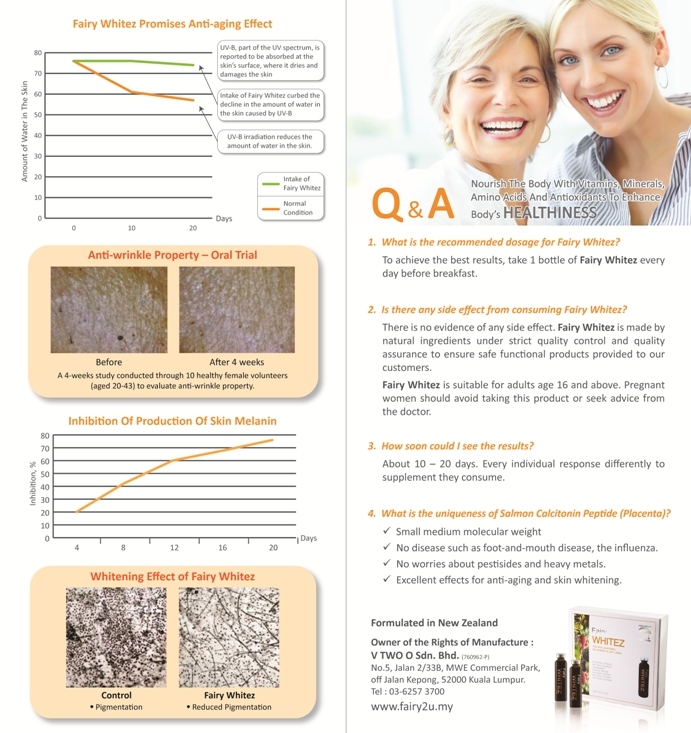 The only problem occur for those who having a whiter skin than other is the DARK SPOTS! I HATE DARK SPOT! But I have my own problem with that because in my case it's Hereditary :'( I couldn't change it even I apply sunblock every afternoon before I go out but some time I really so lazy to apply it ! My god! I never apply any make up base / foundation or anything :( Usually I just apply make up which focus on my eyes area! Never think of how important to reduce the black spots! Now it slowly appear on my face. Not much but it's enough to kill me. In real it's more obvious because my skin tone is whiter than this photo. I'm fine with the condition of my face just I worried my black spots will spread all over my face now :'( 老了就这样的咯! Turn your screen down abit then you can see more clearly and spot the dot dot ! So yea I think Fairy Whitez is suitable for me! I NEED IT! But before trying any product I must make sure that it's natural . Fairy Beauty's product is 100% NATURAL & SAFE no added sugar♥ , preservatives♥ , artificial colourings♥ , flavourings♥ or chemicals ♥ & no hormones♥ . 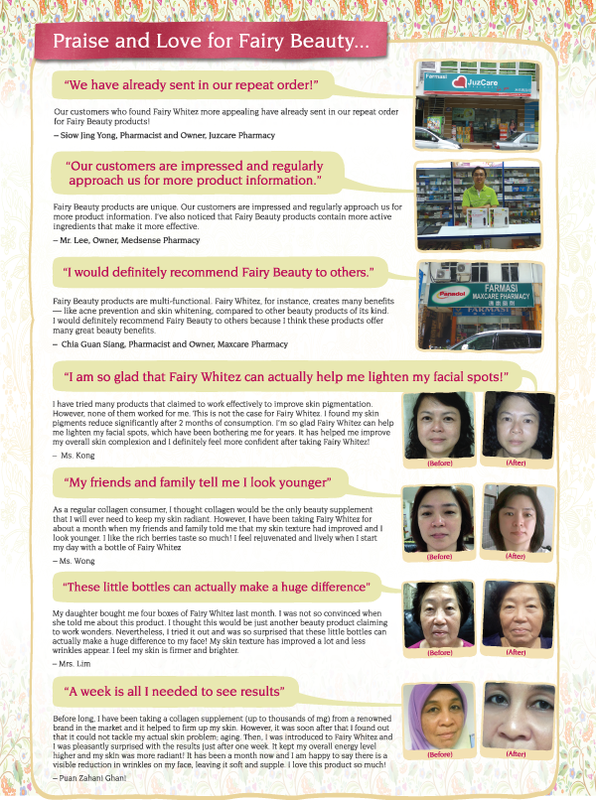 Since it's really natural and I did read and see their certificate on their fairy2u.my website. I choose to trust on their product because it's really dangerous if you simply take something that is not natural and without any prove on their product. I willing to give them a try. Ok! Challenge Accepted♥ You can see the result in 20-30 days! In one month time. 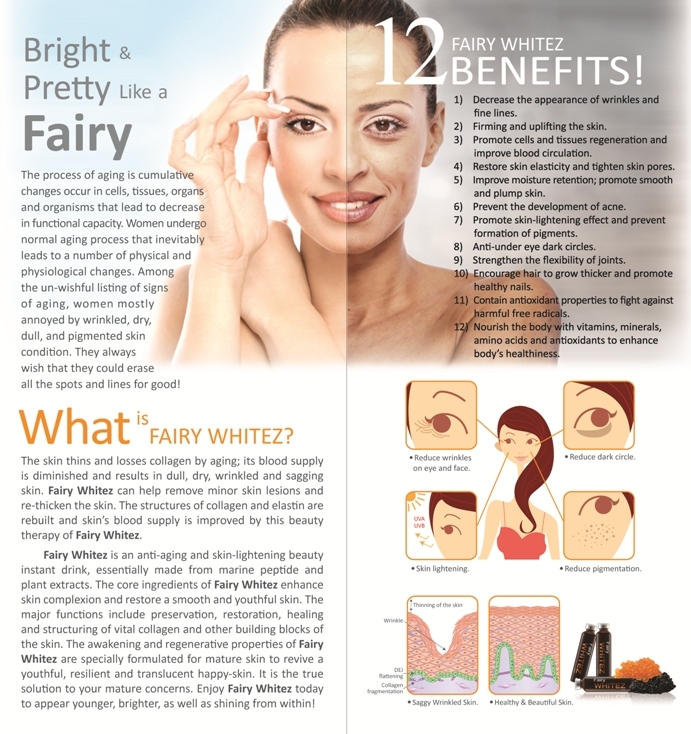 The Fairy Whitez ♥ can improve your skin condition by reducing the wrinkle , black spots , pigmentation , skin lightening & dark circle. 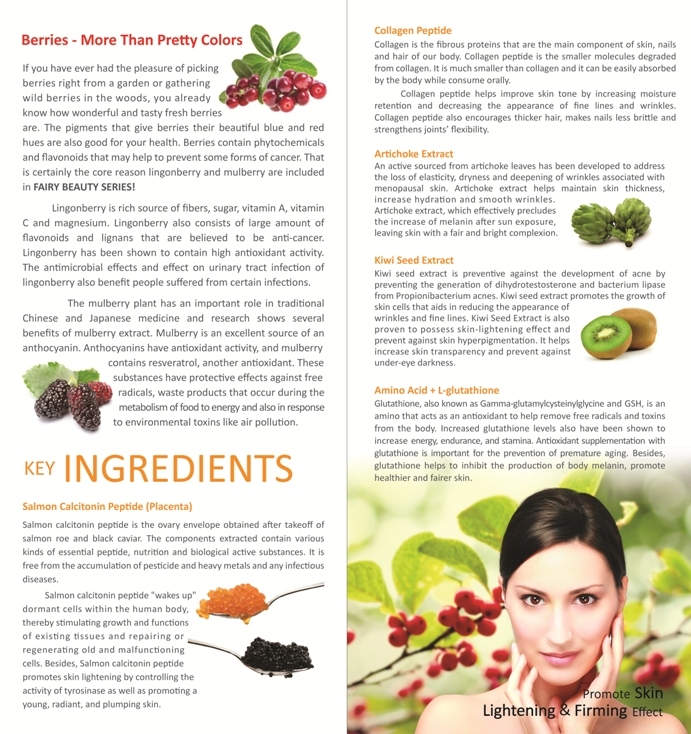 Besides, it can prevent the development of acne . While Fairy Blossom♥is suitable for those who want to develop fullness and plumpness of breasts *wink wink* , firming and uplifting of sagging breasts , hips line and the most important, REDUCE Pre-Menstrual Tension and Menstrual Problem. I suffer menstrual pain every month -.- Very serious until my lips turn white and whole day lie on the bed. Then keep on playing twitter say IT'S PAIN -.- It's life! Girls have to suffer it every month :'( Pity us. You can purchase it online on Fairy2u.my or purchase it from independent pharmacy/caring pharmacy. They are now having promotion 3 boxes for RM188♥♥! Normal Price for one box will be RM89. Applied before the end of this month, February. 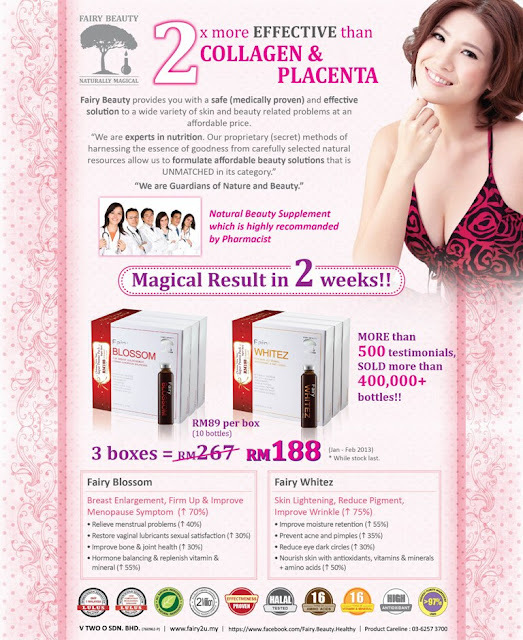 Grab it now if it's work you can never say expensive to this product because it's totally worth for me if it's work! So once you take off the plastic you can see some brochure and detail of the product. Oh goshh. Carefully open it and you can see how they protecting the bottle of the product. Really diff from the collagen my mom bought from others brand. Each box come with 10 mini bottles. It's really so mini so you no need worry about it's so disgusting when you drink it or it taste so weird. It taste like berry and smell a bit sour sour like that♥! 1. Remember shake the bottle for few time before drink♥. Shake it well ! 3. Insert the straw into the centre of the bottle's cap and remember to consume the product immediately. Yea! That's all! 1 day 1 bottle and drink it every morning. I just finished one box and 2 bottle of the Fairy Whitez so it's still not very obvious that my dark spots reduced but the black spot become lighter♥. I'm happy it turn lighter ,so I guess I should continue it and I hope to see it disappear to! Plus, hope I wont be lazy to apply sunblock again :'( Any nice sunblock product recommended for me? So here's the 1 week after photo. A short video here :) Enjoy reading & watching.